McDonald’s is now being referred to as the “Trump of corporations” by protesters at McDonald’s Shareholders meeting. The protest is aimed at raising the minimum wage to $15. The fast-food workers are not only looking for $15 wages but want union rights for workers. Protesters are claiming “wage theft” and “poverty wages” as the bases of their argument. There has been a major push for increase of minimum wage and was part of Hillary Clinton’s campaign promises. The push for union rights by McDonald employees will cost them in the end. SEIU does not care if the workers get their $15 hourly pay, they care about gaining more support during the next election. If fast-food workers did receive union right then they would be paying union dues and could be influenced by the union’s views. It is likely that the SEIU knows that many jobs would be lost but they are focused on getting support and dues from members. The $7.25-per-hour federal minimum wage will likely stay the same as Republicans took control in Washington. 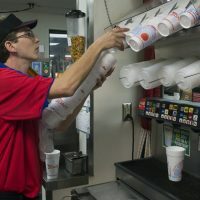 The protest for over doubling the minimum wage would have a serious impact on the prices of good and the economy overall. 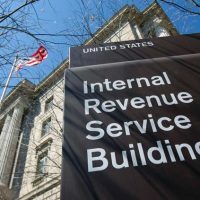 If the federal government were to raise the minimum wage, companies would have to increase wages of others that were making above minimum wage so they can continue their standard of living. The wage increases will continue up through companies, which will cause for an increase in prices of all goods. In the end, minimum wage employees will have the same standard of living as they do now. Cost of good will increase but an increase in minimum wage will throw off the market equilibrium. Companies, like McDonald’s, will work to get back to the market equilibrium. 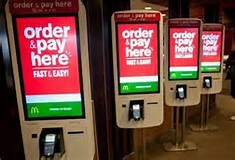 This means that they will offer less jobs and use capital to automate more of the fast-food business. This has already started to happen at some McDonald’s, which turned to kiosks for customer to place their order. If 20% of the cost to make a burger is labor for a fast-food restaurant then they will have to get back to that 20% of cost, following the increase of minimum wage. For companies to return to the market equilibrium, they will be forced to let workers go and replace them with a self-serve kiosk or other automated machines. Automation of these types of jobs will happen regardless of the minimum wage level but a drastic increase of minimum wage will speed up the transition. Everything that the fast-food workers are protesting for will hurt them in the end. Realization that working in the fast-food industry is not meant to be a career or support a family will be a major part of the solution. 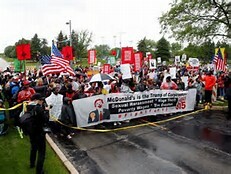 If the protesters can convince McDonalds to raise minimum wages then we will be paying more for a meal and the company will be forced to cut jobs and replace them by technology. 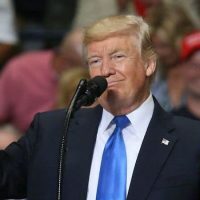 The loss of jobs would have a harsh impact on high school and college students who rely on these types of jobs for summer or part time employment. 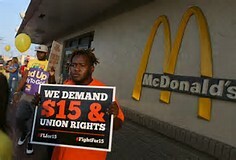 We could see a significant loss of jobs if the minimum wage was raised to $15-per-hour, demanded by protesters. 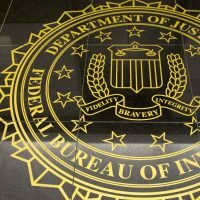 Do we need to destroy the FBI in order to save it?